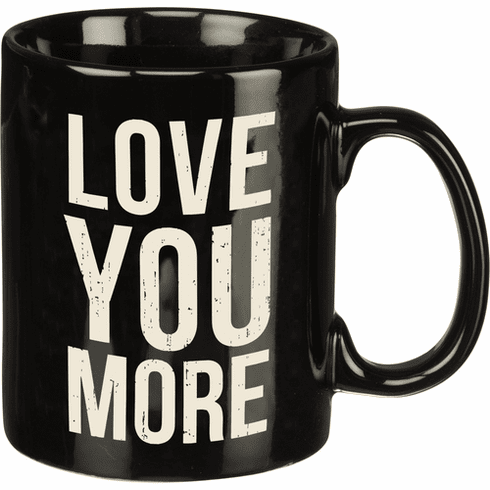 A black and white stoneware coffee mug lending a double-sided and distressed "Love You More" sentiment. Microwave, oven, dishwasher, and food safe. Holds 20 oz.